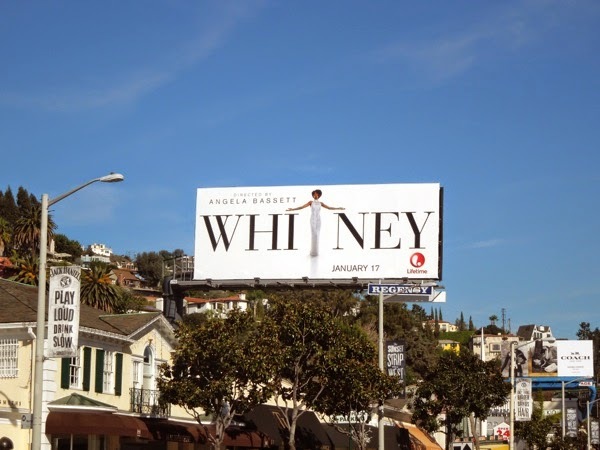 Are you ready for Whitney Houston to be your baby tonight? 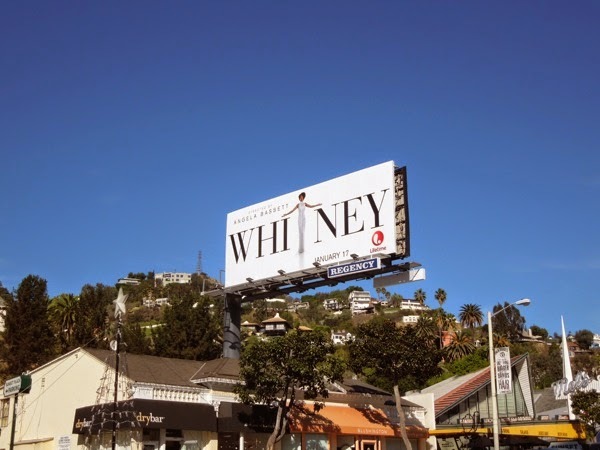 If you will always love the iconic singer and actress, then there's a Lifetime movie headed your way in the New Year to chronicle the diva's meteoric rise to fame and her turbulent headline-making relationship with her husband Bobby Brown. 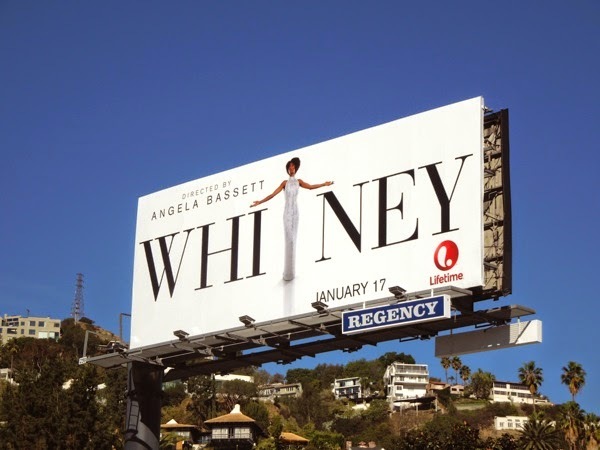 Yaya Dacosta plays the titular 'Whitney' in Angela Bassett's directorial debut, and this billboard for the biopic certainly has star quality written all over it. 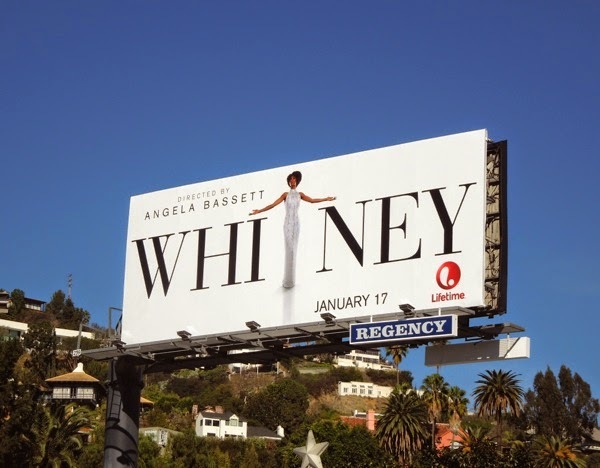 This ad creative practically conveying 'I'm every woman' was snapped along L.A.'s Sunset Plaza on December 9, 2014 (although Daily Billboard finds the Angela Bassett credit confusing. 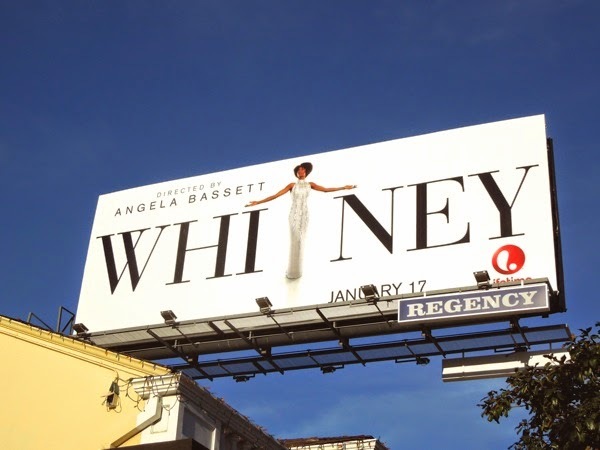 Yes the Golden Globe winning and Oscar-nominated actress brings gravitas to the project, but at first glance you don't see the 'directed by' and imagine that she's the actress portraying Whitney, as she famously did as Tina Turner in 1993's big screen What's Love Got to Do with It. But maybe that's the point.). 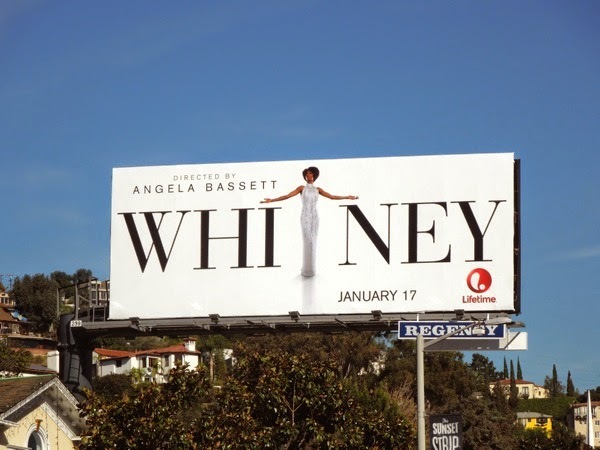 Let's hope this Whitney Houston biopic is better received than the recent Aaliyah Lifetime movie, which was critically panned, and this is one moment in time you won't regret wasting your time watching.